Browse: Home / Adhrit is an open source Android APK ripping tool. 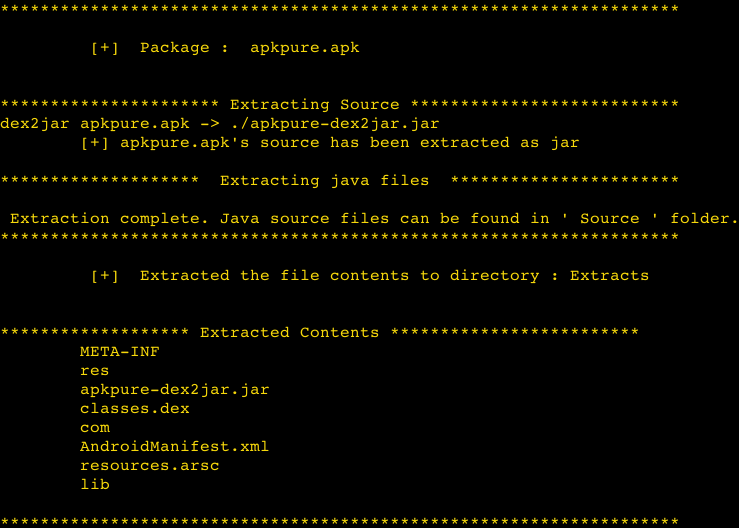 Adhrit is an open source Android APK ripping tool that does a basic recon on the provided APK file and extracts important imformation. 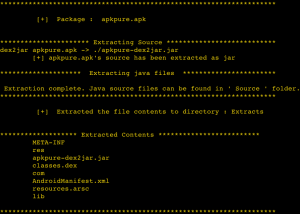 – Extracts the apk contents. – Does a strings on the dex and stores it in a file. – Extracts the jar out of the dex. – Checks for native libraries. 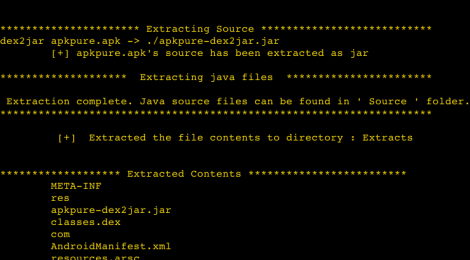 – Extracts java code from the APK. git clone https://github.com/abhi-r3v0/Adhrit && cd Adhrit 1. Dowload or clone the package and extract the tool. 2. Place the application (Android apk) in the tool directory. 3. Open a terminal and cd into the directory. 4. Run "python adhrit.py -a your_app.apk"
1. Dowload or clone the package and extract the tool. 2. Place the application (Android apk) in the tool directory. 3. Open a terminal and cd into the directory. 4. Run "python adhrit.py -a your_app.apk"
← format string attack payload generator.